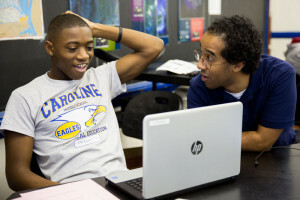 CBGS students work closely with their teachers in a variety of STEM disciplines. Being enrolled in college-level coursework in addition to their regular high school classes teaches CBGS students excellent time management skills. For current CBGS students, log in to Schoology to see your most recent assigned work.